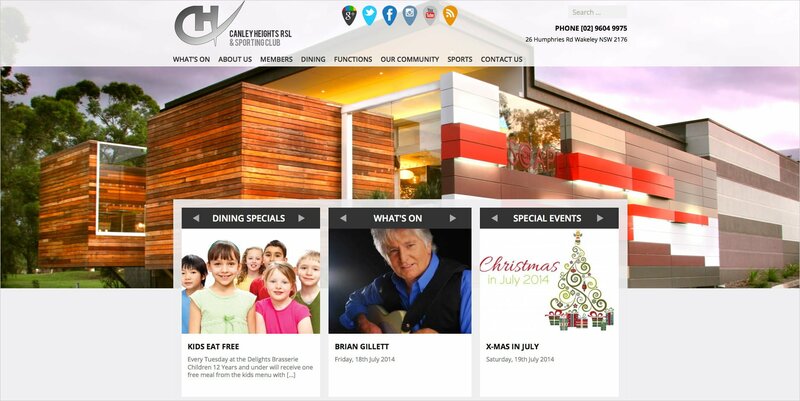 Canley Heights RSL & Sporting Club is a multi-cultural, family orientated and community based club situated in Sydney’s South West. The Club has undergone a number of renovations and refurbishments over the years to keep up with the ever-changing needs of the community and to keep the venue looking fresh and comfortable for our members and guests. 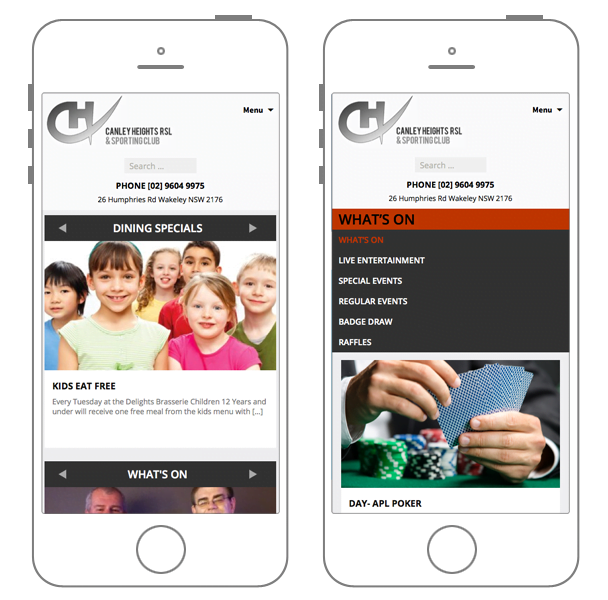 We built a new responsive website for the club using WordPress Content Management System software to showcase their club facilities and entertainment. 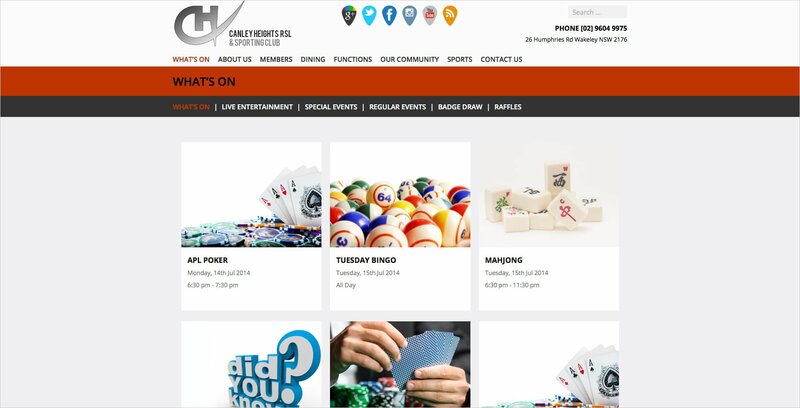 Our work included redesigning the site, adding features like Dining Specials,What’s On, Live Entertainment etc, social media integration.